With the upcoming release of “Jurassic World: Fallen Kingdom” in summer 2018, we’ve got the scoop on what’s going to happen with Jurassic Park: The Ride at Universal Studios Hollywood. A couple of things to keep in mind before we dive in. First, everything in this post must be considered rumor or speculation until it’s officially confirmed by Universal Parks. Second, this article only pertains to Jurassic Park: The Ride at Universal Studios Hollywood and not the version at Islands of Adventure in Florida. More on that later. Third, the information contained within is a mixture of industry insider info, what we already know and a tiny bit of speculation. Let’s dig in! It’s been made public that Comcast wants a new attraction in every Universal park every year moving forward. In 2018 at Universal Studios Hollywood, we know that Kung Fu Panda: The Emperor’s Quest will be opening this summer. Which brings us to 2019. If what I’m hearing from folks who work at Universal Studios Hollywood is correct, Jurassic Park: The Ride will be operational through at least part (most?) of the summer season and then close to make a transformation into a Jurassic World: The Ride attraction. The space that Jurassic Park: The Ride currently takes up in the lower lot of the park puts it in the corner of the stairway coming down. Unfortunately, this means that you can’t really expand the boat ride beyond its current footprint, or else you’d have to reconfigure the walkways in that section of the park and that becomes unnecessary. This means that Jurassic World: The Ride will be updating the current basic track, show building and queue that exists today. In addition, anyone who has been on Jurassic Park knows that the dinosaurs have looked dated for quite a while. Time, weather and age have not been favorable to these 22-year-old figures. Not to mention, many of the scenic elements could also use some sprucing up to be brought into the more modern Jurassic World franchise films. Therefore, we have some solid leads as to what is probably happening when the attraction goes down in summer 2018. If you’re going to change over from Jurassic Park to Jurassic World, you’ve got to change the branding. That classic yellow and red color scheme seen on the boats and throughout the attraction will be changed out to the newer blue and silver logo/color scheme. However, just like in the “Jurassic World” film, you’ll still see a few nods to the Jurassic Park franchise here and there. Let’s start with the queue. The current films played in the queue area for Jurassic Park: The Ride all feature theming, characters and even brief snippets of the original Jurassic Park film. Naturally, that’s gotta go. What would the new queue video look like? My money is on Jimmy Fallon. NBC/Universal’s golden boy and star of his own attraction at Universal Studios Florida also makes a cameo appearance in Jurassic World: The Ride. In the film, Fallon actually plays himself and gives the safety video for the gyrosphere attraction. Who’s to say that “The Tonight Show” host didn’t make all the safety videos for every attraction in “Jurassic World?” My money is on Fallon to reprise his role as the bumbling scientist to give you the do’s and don’ts about keeping your hands and arms inside your boat. Now if you’re familiar with dinosaur arena shows, you know the work of the Creature Technology Company. No one on the planet makes better lifelike dinos. They also have a fantastic exhibit touring through science museums around the globe (click here!). From my understanding, this is the group also behind the new Jurassic World Arena shows touring the world starting in 2019. It is also pretty well known that the giant Kong figure used in the finale of Reign of Kong: Skull Island at Islands of Adventure is also a product of the amazing Creature Technology Company. Therefore, it’s a pretty solid bet that the Creature Technology Company is working on figures as I write this very article for Jurassic World: The Ride. What benefits does this bring? Well, if you’re familiar with the work from CTC, you know that their figures are very lifelike and extremely fluid. If Reign of Kong: Skull Island is any indication, you can expect to see some ferocious dinos closer to your boat than you’ve ever seen them before. By reading this article, I’m assuming you’re familiar with the “Jurassic World” film that took the globe by storm in 2015. There are a couple of iconic moments that could (and most likely will) be incorporated into Jurassic World: The Ride. First of all, it is inevitable that Blue will make an appearance in the refreshed ride. For those unfamiliar, Blue is the raptor that Owen (Chris Pratt) creates a special kinship within “Jurassic World.” Where could he be placed? Well, if the layout of the attraction is the same and you enter the raptor containment area after your boat is being knocked off course, then it actually makes sense to put Blue just beyond the broken gates. Where specifically? As cool as the teetering Jeep that slams into the water next to your boat is (when it works), it no longer fits within the “Jurassic World” universe. So that’s got to go. This newly freed section of space is a perfect place for Blue to come in and potentially scare those spitting dinosaurs away. Since Blue is a raptor, it would make sense to have him make an appearance out there. Arguably, the most iconic scene from “Jurassic World” is when the Mosasauras jumps up out of the water during an arena show for feeding time. Since this ride takes place in water, it would make sense for this giant beast to make an appearance in the new reimagined “Jurassic World: The Ride.” The scale of this particular creature may be too massive to pull off considering the footprint of this particular attraction. However, there are other ways we might be able to see the Mosasaurus, such as projection or perhaps he’s swimming under our boat? Finally, while the “Jurassic Park” film was all about the Tyrannosaurus Rex, “Jurassic World” introduced a new badass known as the Indomonous Rex. This beast can camouflage himself to any surface and then reappear to chow down on his prey. Universal Creative would be foolish not to include him in the indoor sequence of the attraction and have him lurch out of the darkness through a fluid new Creature Technology Company figure combined with some skillful projection mapping that could make him pop out of nowhere. Does that mean that the T-Rex is taking a backseat? 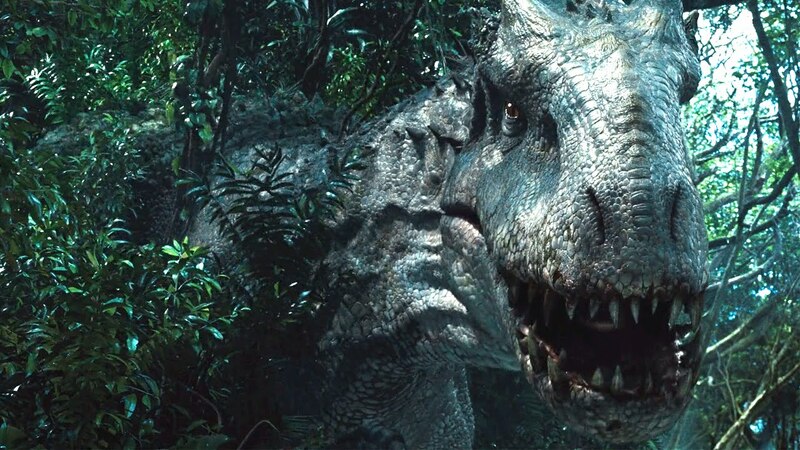 Since he certainly didn’t during “Jurassic World” (spoiler alert): I think we will see T-Rex again, but something tells me he’s going to be even more fearsome than we have ever seen him before. What About Islands of Adventure? If you’re a fan of “Jurassic World” and are excited about these changes coming to Islands of Adventure, I’ve got some bad news for you. As of right now, the powers that be want to keep the “Jurassic Park” (not World) theming to that section of the Florida park. There are a few reasons for this, but mainly, there sure is a lot of land being unused since the Triceratops Encounter has been closed for over a decade. This means Islands of Adventure can get an entirely new attraction that Universal Studios Hollywood can’t due to space limitations. What is it? All good things come in time, kids. 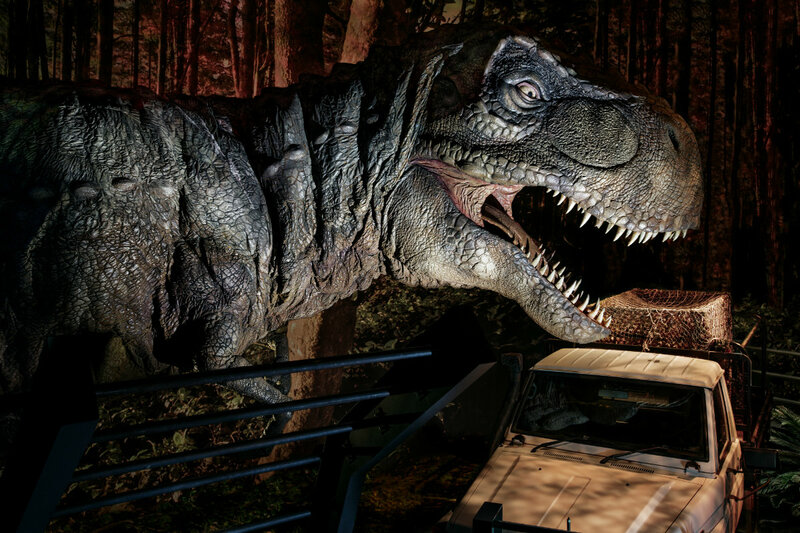 Jurassic Park: The Ride in Florida will be getting some light changes in the coming years, but nowhere near what is slated to be headed to Hollywood. Now that the cat is out of the bag on Islands of Adventure getting a new Jurassic Park attraction, who wants to start guessing what it is? I’ll fill you in on that in a future update. 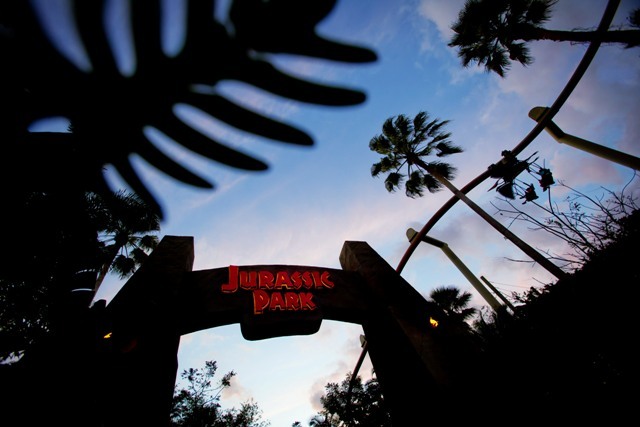 This entry was posted in Universal and tagged Creature Technology Company, Islands of Adventure, Jurassic Park The Ride, Jurassic World The Ride, Universal Orlando, Universal Studios Hollywood. Bookmark the permalink. Trackbacks are closed, but you can post a comment.